After finishing his engineering-degree in electronics at the HTL Bregenz, Austria 1983 he started to work as the Head of Product Development of control systems for textile machines at Oehler AG (Au, CH). After that he became a Software Engineer at Grossenbacher AG (St. Gallen, CH) dealing with CNC control systems for high end machine tools. Realising a business opportunity in mechatronic system sector he founded his own company Pantec Engineering AG (Ruggell, Liechtenstein) with his partner in 1990. Over the last 15 years he grew the company to 4 business units in textile, printing, CMM and semiconductors, with thousands of high end control systems all over the world, bringing Pantec from 2 to 75 employees. In order to develop his commercial know-how, he did an on the job one-year course, "Sales and marketing director" at the University of St. Gallen. 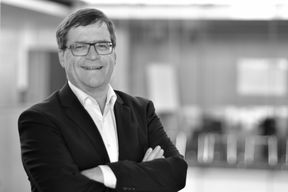 Reinhard brings into the company excellent knowledge of a broad technology range as well as proven entrepreneurial, commercial and business development experience.